Blacklist of casinos on the internet where it is not advisable to play with his money. 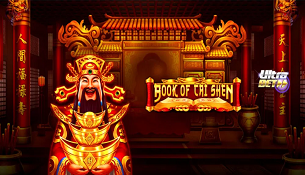 Basically, what is a guide that plunges into the exciting universe of casino games without making available to its readers warning pages like for example a blacklist of virtual casinos to flee like the plague ? A page that aims to inform and put both in alert the community of online players. A good way put in place to ensure that they do not fall foolishly in well-honed booby from the work of too large a number to my liking people who hide behind this beautiful golden image that one is made of the honest casinotier online. A blacklist adapted to the English online casinos is drawn up on this page in order to radically dismiss the AC readers from the wrong virtual casino addresses. By pursuing this movement to offer continuity that hangs up to the top 10 present in the homepage, that only produces and releases space on a monthly plan only to reputable brands. Platforms judged to be serious in the long run by the community where it is good to go there to deposit money and why not join the so called faithful by pushing the heavy doors of the program reserved exclusively to active players classified VIP. White-label sites specializing in the gambling world are emerging absolutely everywhere on the internet landscape. Like flowers in the spring with the integration of new sites more or less reliable each week but the question is how much are they really independent ? Current finding, and I do not think that the latter will progress positively is that most of these site administrators are hypnotized by the lure of gain. You have to be honest and therefore avoid hiding it from oneself, this activity is able to bring back a lot of money to a webmaster even if the latter translates as an upstart who wants to try his luck in this jungle where the competition is becoming more and more massive. I do not know how many casino comparative are driven by casinotiers who praise their own brands of online casino in order to capture maximum traffic without having to establish partnership with third parties and thus pocket 100% of the profits. A good number of players are not aware of such actions, methods and it seems to me important to report it through this page dedicated exclusively to blacklisting Internet casinos. This is the same for the mountains of reviews that can be viewed for free at the bottom of the reviews of English online casinos. With a minimum of observation, one can quickly realize that most of the testimonials of pseudo players qualify to be positive, even to encourage readers of these forums to go there immediately to play in real eyes closed. It is strange to see without really snooping in the depths of a blog that testimonials of players with an experience to tell are positive and overstated in a massive order. It is a good idea to take a step back and not be vulnerable by suddenly becoming naive. It is very rare to meet a satisfied player who gives his time to write beautiful phrases in order to gild more the varnish of an online casino. Most of the time, these are false comments that are either written by the webmaster who manages the casino guide or then published by Lambda People who are like each time paid to the slingshot. And by chance, on this kind of thematic, the world of online casinos is synonymous with blue sky without cloud where evil is nonexistent and where of course everyone is happy. The perfect and life-size world of care bears. But alas as in any area, there are inevitably areas of darkness. The latter can in the long run their suitcases by having this shield that allow them to have permanent control, to be immune against the fact of being able to potentially a beautiful morning be driven completely by good sources of energy. You have to go back down to earth, blow a good shot to understand that there are also large-scale scams within certain groups of online casinos. To return to the online casino guides that only make light to all the signs they are affiliated with, which conceal a share of truth, they should not hope to see one day appear in the middle of their pages a blacklist of online casinos. Oh No, these rotten webmasters up to bone marrow would not want to see their economy collapsing like a castle of cards by deliberately putting themselves in a false way with their business companions who often are the typical reflection of confirmed scams. If we find ourselves on a virtual casino guide that proclaims itself independent by placarding this term all over history to attempt by all means to reinforce a biased credibility but which conceals comments from disappointed players by depriving this access to a Blacklist of virtual casinos, it is strongly advised to step back in the face of the quality of the information disseminated. See even to a more radical extent to take this wise initiative to leave the site in question because the latter reflects the general feeling that absolutely everything is controlled to the root by corruption. Blacklist of English online casinos. 3 essential criteria to be verified conscientiously to identify the online casino scams that are developing on the Internet landscape. It is therefore necessary to be suspicious when you discover for the first time an online casino without necessarily penetrating directly into a paranoia but as the saying is better to prevent than to cure. A second question can then be found in our mind. A perfectly legitimate questioning based on how to learn to detect or rather differentiate a good from a bad online casino ? Take the time to check if the online casino is regulated by competent authorities. One of the first important things to check when visiting an online casino in English or in another language is to be aware of whether the casino is regulated and where the headquarters of the main company is located. If the casino does indeed have a valid operating license, because there are gambling sites that operate illegally without having an authorization, an operating license given by the laws of a Government like the very well-known Curaçao. If the casino is not subject to a jurisdiction, it is strongly advised to take your legs to its neck to run as fast as possible in the sense that we have arrived. In this case, it is a question of ghost casinos that confine themselves only to absorbing the money of the victims quickly finding themselves in tax havens to never ensure the processing of the requests for cashing of funds. Finally, if but only the big players who deposit, withdraw and reproduce immutably this pattern always in this triumphant motivation which consists in playing a lot of money in the games proposed. The shady casinos are very calculating and highly vigilant in the sense that they take care to pay in the allotted times their largest wallets. In other words, the so-called prestigious customers who actually maintain the business background of the scam. On the other hand, players who in the eyes of these thieves are not up to par are ultimately reduced to the state of piles of fair-legged banknotes to guarantee the financial maintenance of a mafia network. Probe the level of professionalism of the customer service before engaging in the adventure. Check the quality of the assistance that for my part is the engine of an online casino. Frequently, an online casino where it does not do good to put the feet makes available a mediocre customer service that can be shown under different facets all as black as the others as for example the maintenance of threats, blackmail, insults, insist on the bonus consumption see even block access to the live chat without real admissible reasons. The goal is to pluck players who pass in their nets with fine mesh so why on their side invest money by creating job creation to build an assistance made up of qualified agents. It’s not uncommon to find yourself sadly alone on chat but bombarded with automated offers. Perhaps to deceive the boredom or clearly divert the attention of the applicants by sending them directly to the bonus section which are only the fruit of synopsis of scams. A helper noted to absentees where the ghosts seem to have taken control by dominating the places. I’m not even talking about the email support service where requests tumble directly into the trash that keeps overflowing. A simply shameful behavior or professionalism seems to have retired from day one. Faced with such a finding, this must put the chip in the ear to all of us to stop in this moment of having for desire to register on the targeted casino because even the shared email will have chances to be sold to unscrupulous advertisers for guarantee future spam storms. There is really nothing benevolent to take but everything to lose with this kind of platform. Distrust of seductive decorations and bonuses to astronomical amounts. Do not let yourself be charmed by the design of the online casino because it will play its power of seduction to encourage us to go and register without even taking the time to explore and to check in depth the essential criteria that allow to identify effectively online casino scams. This also joins the bonuses offered by the gambling house. If the latter are windfall by promising fortunes, we must already be wary. It is impossible for an online casino to offer bonuses covering several thousand euros. This is unthinkable but by differentiating themselves from serious online casinos, these blacklisted casinos rely on them to force through aggressive marketing of players to register and make their first deposit. Do not believe a single second that a casino that offers for example £5,000 as a welcome bonus will leave nicely and freely the players withdraw this amount. Again, we must go back to Earth to understand simply that the idea of these casinos scam is to take in between their claws a maximum of players by activating in most cases without their knowledge these bonuses which in reality hide conditions of Ineligible withdrawal. In other words, everything is in place to clearly prevent players fond of bonuses from being able to claim a cashing. They will not yet be able to complete the bonus-related bet requirements that they will not have enough chips to continue playing. Moreover, if one turns to the page which has the feature of listing the terms and conditions of bonuses, it is to fall from its seat with sometimes peak requirements up to 100 times the amount of deposit plus that of the bonus. It is to walk on the head with often conditions that oscillate as they like, where each player is subject to special conditions. It’s at the client’s head and point bar. Of the great anything but it exists. This ideology comes back as a boomerang that is based on the principle of extracting by all means impossible and unimaginable the money of the players.